PRESS RELEASE: Glasgow, 14 March 2017 – Regional REIT, the UK regional office and industrial property focused real estate investment trust, today announces a number of recent asset management initiatives completed or initiated on its portfolio by the Asset Manager, London & Scottish Investments Limited. Letting of 27 King Street, Belper retail unit 10-year lease to Poundland of a 22,422 sq. ft. over the ground and first floors, at a headline rent of £100,000 per annum. Letting of Brighouse retail unit Letting of Unit 1, Wellington Arcade on a 5-year lease at a headline rent of £12,000 per annum. Commencement of Refurbishment Programme of 800 Aztec West Park Avenue, Bristol A comprehensive refurbishment, investing £5.5m, in the 71,651 sq. ft. three storey office building, acquired as part of the £80m “Rainbow Portfolio” acquisition in March 2016. Commencement of the Refurbishment of Arena Point, Leeds Commencement of the first phase of refurbishment of the 20-storey office, investing initially £1.1m. The building was originally acquired in March 2016 as part of the “Wing Portfolio”. Completion of the Refurbishment of Bromley Offices Completion of the refurbishment, at a cost of c. £550,000, of Units 1 and 2, Donegall House, Tweedy Road, offering 9,500 sq. ft. of modern office accommodation. Terms have been agreed with an occupier to take all of the space. Letting of 6 Industrial Units at Newhall Road, Sheffield Completion of the letting of a parade of industrial units to Magnetic Systems Technology Limited, doubling its occupancy, paying a headline rent of £80,095 per annum. Letting of St James House, Bath to Carter Jonas Completion of the letting of the ground floor of St James House, Lower Bristol Road, at a headline rent of £20 per sq. ft. following refurbishment. “We remain optimistic in respect of our strategy and in the strength our core regional office and light industrial property markets”. London & Scottish Property, property and asset manager to Regional REIT Limited, has completed the letting of a 22,422 sq. ft. retail unit over the ground and first floors at King Street, Belper, to Poundland Limited. This is a new 10-year lease, with a break at the fifth anniversary, at a headline rent of £100,000 per annum. London & Scottish Property, property and asset manager to Regional REIT Limited, has completed the letting of Unit 1, Wellington Arcade to St. Vincent De Paul Society (England and Wales) on a straight five-year lease at a headline rent of £12,000 per annum. The unit forms part of Regional REIT’s ownership at Commercial Street and Wellington Arcade, originally acquired in August 2014. This most recent letting follows on from the Asset Manager’s success last year in letting a double unit to Specsavers at a rent of £30,000 per annum. London & Scottish Property, property and asset manager to Regional REIT Limited, has commenced the comprehensive refurbishment of 800 Aztec West in Almondsbury, Bristol. The three-storey office building extends to 71,651 sq. ft. and was acquired as part of the £80m “Rainbow Portfolio” acquisition in March 2016. Regional REIT will invest c. £5.5m refurbishing the building to provide Grade A office accommodation, across suite ranging in size from 1,630 sq. ft. to 71,651 sq. ft. and with a strong 1:213 sq. ft. parking ratio. As part of the scheme, the Asset Manager will remodel the entrance foyer and approaches to the building to create an attractive contemporary profile. A construction programme of 32 weeks is envisaged with completion scheduled for November 2017. The Asset Manager is already in discussions with several occupiers expressing interest. 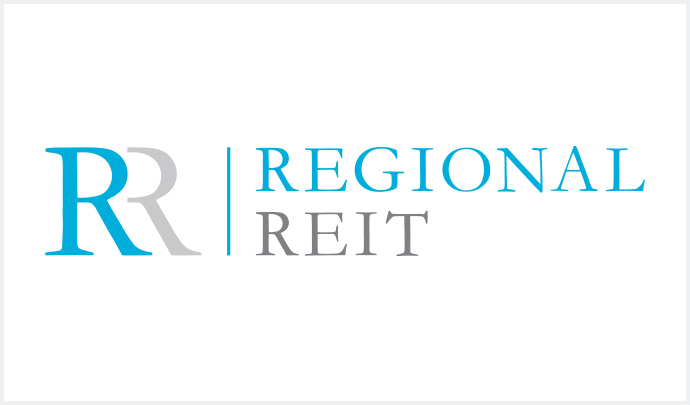 London & Scottish Property, property and asset manager to Regional REIT Limited, has commenced the initial phase of its refurbishment of its 20-storey office building in the Arena Quarter of Leeds City Centre. The building was originally acquired in March 2016 as part of the “Wing Portfolio”. This represents the commencement of a comprehensive three-phase refurbishment programme of the ground and first-to-seventh floors. The first phase, at a cost of £1.1m, will see the refurbishment of the ground, sixth and seventh floors as well as the creation of a new shower and locker hub within the basement. The completed floors will offer accommodation up to 4,000 sq. ft., with aspects across all parts of the city and with secure basement parking. Regional REIT has re-branded the building as Arena Point and secured planning consent for the erection of high level illuminated signage which will focus the tower as a landmark building on the cityscape in this rapidly developing and changing area of the city. London & Scottish Property, property and asset manager to Regional REIT Limited, has completed the refurbishment of Units 1 and 2, Donegall House, Tweedy Road, Bromley, offering 9,500 sq. ft. of modern office accommodation. The refurbishment, at a cost of c. £550,000, will in part be funded by the dilapidations settlement agreed with the former tenant. The Asset Manager has agreed terms with an occupier to take the whole of the refurbished space at a headline rent of £20 per sq. ft..
London & Scottish Property, property and asset manager to Regional REIT Limited, has completed the letting of a parade of industrial units at 218-228 Newhall Road, Sheffield to Magnetic Systems Technology Limited (“Magnetic”). The new lease sees the tenant doubling its occupancy and taking the entirety of the space available on a lease until 2025, subject to a tenant break option in February 2021. Magnetic will, following incentives, pay a headline rent of £80,095 per annum across the 22,242 sq. ft. of space. The letting demonstrates The Asset Manager’s close engagement with tenants and occupiers for the benefit of generating longer-term income from managed properties. London & Scottish Property, property and asset manager to Regional REIT Limited, has completed the letting of the ground floor of St James House, Lower Bristol Road, Bath to Carter Jonas. The investment was acquired in August 2014 at which point there was an overriding lease of the building to the BBC who were not in occupation. Following agreement for the BBC to underlet the top two floors of the building the Asset Managers agreed a surrender of the BBC lease and undertook a comprehensive refurbishment of the vacant ground and first floors. The ground floor extends to 3,603 sq. ft.. Carter Jonas have taken a 10 year lease with an option to break at the fifth anniversary at a headline rent of £20 per sq. ft..
London & Scottish are also advancing terms with an occupier to take the first floor which will then see the building fully let. The letting demonstrates the Asset Manager’s ability to reposition assets and drive long term income.